Need a better way to explain what you did between jobs? Trying to re-enter the job market after a long time? What's the longest gap on your latest resume? 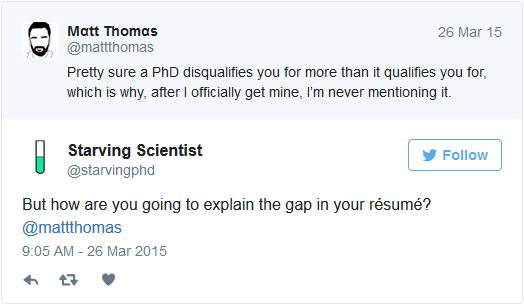 Should resume gaps matter? Aren't your work accomplishments more important than what happened when you were off work? If you want a handy resume and CV resource that you can keep on your smartphone or print out for easy reference, this special bonus is for you. 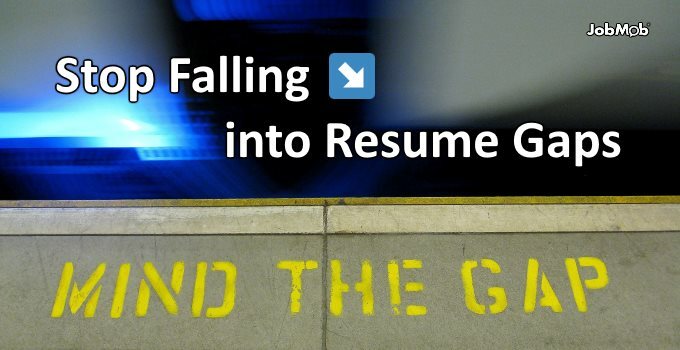 Subscribe to JobMob via email and follow me on Twitter for more useful resume gap insight. This works great so long as your gap was < 1 year. Simple! Chris- clever! You still need to have a good reply ready for when the interviewer digs further. Nice post, Jacob! The example from your own life illustrates the ideas you are setting forth very well. I’m curious — what would you suggest a person could do if the gap is due to a medical issue? For example, I’ve heard of people who have been out of the workforce for a couple years battling cancer. How do you talk about that without causing the interviewer to be concerned about future health issues cropping up? i would like to join this is so helpful. Melissa- like I say above, you want to be honest, but being honest doesn’t mean telling everything. Using a chronological resume, I’d include that mention among the jobs listed under Work Experience or equivalent. Regarding the second part of your question- except for an Objective section, the resume should only discuss the current and the past. People get sick, unfortunately, but it shouldn’t be a strike against them. There’s no reason to try and predict the future by implying someone may get sick again. It could happen to anyone. Privacy laws may prevent an interviewer from asking about the sickness, but if they do, honesty is the best policy. Any speculation about remission is just that, speculation, and not worth mentioning. Hi Jacob, Thanks very much for referencing the article on my site. I love your approach in this article explaining what you said. It definitely helps when people talk about their history as a story, and a choice that they have made. It becomes something the interviewer can relate to, then. I am in the process of being interviewed for a new full time position. I have a bit of a gap in my resume due to taking sick leave. The reason for my leave was physical burnout and depression. During the time that I was off made the decision not to go back to my old employment. Instead I enrolled in school and got myself retrained. My resume shows that I resigned in 2009 however I did not include the month that I resigned. My resume shows that I graduated from college in January 2010. Should I attach the actual months that I left? My experience has been that as so as the word “depression” hits the conversation that the way you are seen changes. I really would like to grab this position and I haven’t felt this good in a very long time. Suggestions? Cletus- On a resume, it’s very important to be consistent. In your case, don’t include the months for any of the past jobs or academic programs you completed. That said, this really is a detail and the question might still come up about your sick leave. 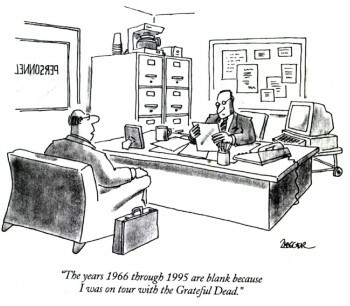 If it’s not necessary to explain why you were on sick leave, don’t. If you feel compelled to respond, be truthful but emphasize how you overcame the problem and have no reason to believe it will reoccur. The employer-to-be wants to be comforted that this isn’t something they’ll need to worry about, that’s all. I think you are analyzing this too much. I have tons of gaps and I just say I was working on myself – because that’s what I do. I grow and evolve and develop when I am not working. I have a 95% offer rate. Get over this gap nonsense. When we are expected to be agile and flexible as a workforce, we are not answerable to gaps. BTW, you folks are gonna have a harder time getting jobs because of your beliefs in black and white ideas. I think it’s time employers got a clue that life happens to people too. As an IT contractor, I have recently taken several short (3 month) contracts over the last 2 years. There are some gaps in between the contracts but nothing more than a couple of months. The problem I have is that some recruitment agencies dismiss my application because I have taken short contracts. They say “my client wants to see long term commitment”, which really translates as “my client is worried that you have a history that looks like the previous clients may not have wanted to renew or extend the contract”. This is not the case. I have had some contracts that have ended due to the client running out of funding (public sector) and I have capitalised on taking the work when it presented its self, knowing it was short term. Work is work and there is a market for short term back fill roles. My question is how do you make the CV look enticing enough to counter the “short term prejudices”? Your site is very helpful and I have found a number of tips to help me. A lot if not most of my applications are via job boards. Agencies place the adverts not the hiring company. Quite often the agency won’t tell you who the client is until they have spoken to you and feel that you are marketable to their client. Also the majority of large corporate companies prefer to use agencies to filter the first round and won’t accept direct approaches..
Large job boards are good for gauging demand, not applying for jobs- as a public listing, you’re competing against untold numbers of candidates. Local job boards that most public are unlikely to know are a better bet for job seekers but even then you can do much better with a little research and/or networking. You’re right about corporate recruiting practices but you can usually avoid that filter by getting referred internally and/or building a personal brand that gets an employee’s attention, which leads to the same thing. Thanks, that is such a good idea. I should market myself as a brand and start building contacts with the organisations I want to get in to. In essence I should thinking like a contractor hunting for jobs and start thinking like a business looking for clients. That will also prepare you for what’s being called the emerging ‘Gig Economy’ where everyone is a freelancer. Next Post📖 What’s The Difference Between CVs, Resumes and Curricula Vitae?